Mexican authorities continue inching closer to full-fledged online gambling regulations after its major political parties have agreed to a general framework for the administration of online services offered to its citizens. However, the new rules may make the new Mexico online gambling reality a single-nation, firewalled entity that is serviced by only a few providers, and not a fully participating member of a global player pool. The new rules, if enacted, may also result in the forced relocation of hundreds of young online-poker playing emigrants from the United States who have settled in Mexico in order to continue playing online on the world’s largest sites. Mexico’s Pacific coast, in particular, has been a popular destination for relocating players from California and other US states. The advent of Mexican online gambling regulation has been rumored for several months but only became a likely reality in the past couple of weeks, following the hammering out of an agreement between the country’s National Action Party (PAN) and the Party of the Democratic Revolution (PRD). 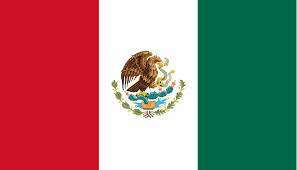 Prior to this, Mexico has remained one of the Western world’s most populous countries to lack proper online gambling regulation; the country’s general weak government, embattled by decades of wars against established drug cartels, has been occupied with more pressing concerns. As a result, and apart from a few established major casinos in the country’s scattered resort destinations, a large amount of the country’s gambling has taken place inn unregulated casinos and underground locations. The proposed new regulations for online gambling address that larger situation only in part, but are a step toward modernization. The attempt to deal with the country’s black-market “mini-casinos” is another part of the regulations’ focus, with increased protections against money laundering and a age-21 minimum also set to be imposed. Following the agreement between the PAN and PRD, Mexico’s Chamber of Deputies voted 297-32 in favor of the new rules, with 17 others abstaining. The proposed rules call for service-provider and a Mexico-only player pool, which is the largest upsetting point to the country’s poker players, transplanted and regular. Poker is the only online-gambling game likely to be significantly impacted if Mexico installs a single-country regulatory regime, mirroring that now existing in such European countries as Spain, Italy and France. It is unlikely that the country could support more than a small handful of operators if it attempts to go solo, and not allow its citizens to compete against players from other nations. Players have lodged their protests to that part of the new plans. One of the Chamber of Deputies’ leaders regarding the implementation of the new rules, the PRD party’s Fernando Zárate, has agreed to meet with a delegation of online poker players to discuss the impact of the new regulations. Mexico’s own history regarding online poker and online gambling in general is admittedly spotty. The country’s single flirtation with the regulated online-poker market ended in disaster, after a 2008 PokerStars Latin America Poker Tour (LAPT) event in the resort destination of Nuevo Vallarta was forcibly cancelled by local authorities after alleged gaming irregularities at the host casino emerged, though behind-the-scenes rumors emanating in the aftermath of the forced closure suggested that ongoing requests for under-the-table payoffs contributed to the unsettled situation. In any event, PokerStars paid a $5,000 bonus to each of the 89 players who remained in action when the tourney was forcibly cancelled, in addition to a pro-rated chop of the scheduled prize money based on chip count. PokerStars has never returned to the Mexican market with an official LAPT event, and has always affirmed that the Nuevo Vallarta facility and event received proper approval from the Mexican Ministry of the Interior (SEGOB), which local officials ignored. The extent to which such a troubled back history plays into any new regulated online-gambling regime remains to seen. Several online companies (including PokerStars), still service the country’s players and would likely like to participate in a formally regulated market, but only with assurances that proper controls and protections from internal political disputes are in place.